I started weight training as a teenager after years of martial arts and rugby. I wanted to shape my physique into my own creation and started with old weights that my dad had in the garage. I trained this way until I got my driver&apos;s license and signed up at a real gym. I kept training and started studying exercise science at the University of Rhode Island. I met all of my college friends in the gym and we trained together. It was a modern day version of "Pumping Iron." During my college years, I competed in multiple shows until I earned a specialized degree in health fitness in 2010. Working as a gym manager and trainer at a young age helped mold fitness into an integral part of my lifestyle. During my younger years, I was lean and athletic. When I decided to take my physique to a competitive level, I started to bulk, which was a horribly misinformed decision that hurt in the long run. I got up to 207 pounds and still felt weak. No matter how hard I worked, I had nothing to show for it. 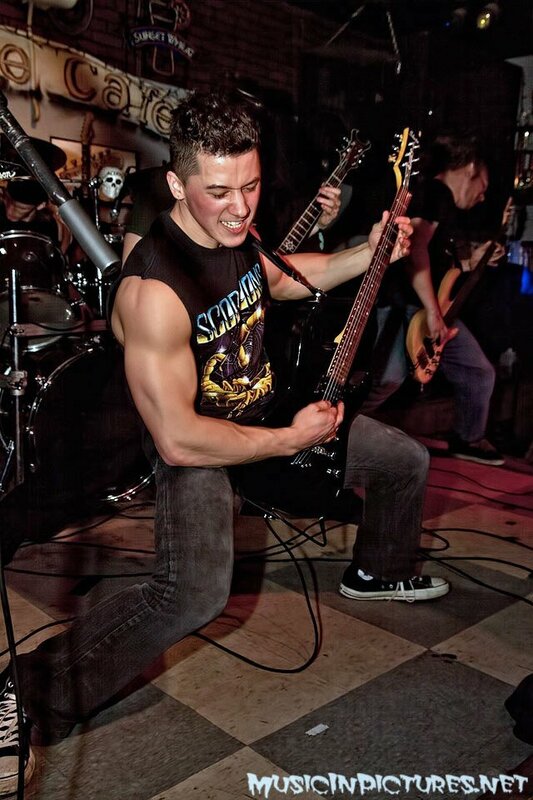 Chris sings and plays guitar in metal bands and is currently working on a project called Bury Me Breathing! I signed up for a show, began a 20-week diet, and competed at 160 pounds in 2008 at age 19. Despite the long road, I won the teen division. I learned from my mistakes and kept learning as much as possible. I was hooked on competitions and had an ultimate goal to strive for. I competed later that season and went into the show overconfident. After I didn&apos;t win, I spent the next year preparing to avoid the same mistakes. I brought a more refined physique a year later and took third in two classes, which felt amazing. Since I last stepped on stage, I&apos;ve worked on several aspects of my physique and found more interests to become better athletically and aesthetically. I spent time heavily focused on athletic conditioning, running, swimming for distance and speed, and other aspects of fitness and exercise. I&apos;ve expanded on what I learned in college and use science and current research articles to increase my potential to reach my goals. I began creating YouTube videos of workouts a few years ago with friends, but now my channel has turned into a combination of fitness and music, which are important to me. I make informative and entertaining videos explaining different topics like training, nutrition, exercises, and collaborative projects with my bands. I also do online personal training and diet consultation to help people reach their goals. "I continue to create new goals to reach and exceed. I train for aesthetics, strength, and physique development." I continue to create new goals to reach and exceed. I train for aesthetics, strength, and physique development. During my last competitive season, I thought I was doing my best but only managed to get down to 8 percent body fat, which wasn&apos;t low enough. Because I learned more about training and nutrition, my diet became easier and I got better results. Training is a lifelong commitment and I&apos;m motivated and excited to continue growing physically and mentally to reach my next goal. I currently train each body part twice weekly on a split that focuses on strength for the big lifts. I start every workout with foam rolling and a mobility warm-up specific to the movements for that day. I do 15-30 minutes of HIIT cardio twice per week. I&apos;m currently eating 2,600 calories per day. I love going out to eat pizza, Chinese food, and fast food occasionally. I can eat like this and still get results because it&apos;s basic math. Tracking food intake and manipulating calories works. Changing my physique according to my goals and helping others enjoy life through exercise and health fuels my passion for bodybuilding. My progress motivates me because I can&apos;t settle. I love having the ability to change. I learned to manipulate the variables through training and dieting to reach my specific goals. This is a lifelong process and I&apos;m always learning new aspects of fitness. "My progress motivates me because I can&apos;t settle. I love having the ability to change." My number one inspiration is music. If you&apos;ve learned to listen to music for more than just sounds, you know where I&apos;m coming from. It doesn&apos;t matter what kind of music; it all hits me in different ways. Feel the energy and emotion in music. I love metal because it connects with me deeply. Weight training gets rage out and helps me express myself. 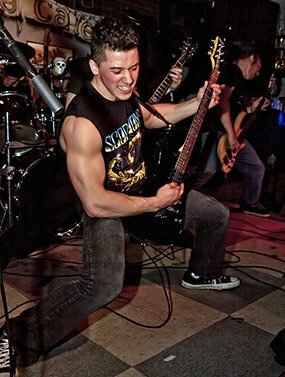 Screaming my lungs out on stage in front of an audience and giving everything I have in a final set of squats is the same feeling. I will continue putting up quality information for people on my YouTube channel. If I can help a small handful of people to stay committed to training, I will have succeeded. I&apos;m considering competing again but must still decide if I want to build more muscle first. I also want to pursue more photography opportunities because it helps to track progress. Experiment and discover what works for you. If you go to a trainer, ask them about their credentials and education and never accept cookie-cutter programs or scam advice. Figure out what works for you, work at it, and refine it to your specific goals. Ed Corney is my favorite bodybuilder of all time. His charisma and attitude brought his physique to another level and he&apos;s a big influence on my posing style. 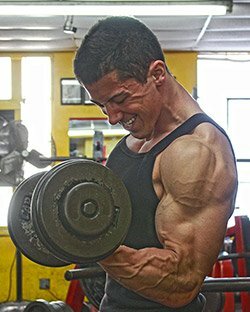 Bodybuilding.com provided a fast way to get the supplements I wanted and offered an alternative to normally overpriced items. The fast delivery, quality inventory, and wealth of knowledge on the site are noticed by most people in the industry and it&apos;s impressive.